A workshop for managers of staff with Autism and hidden disabilities. Join us and learn how to engage with the essential 8 key executive functions every person uses, as well as developing some important communication frameworks. 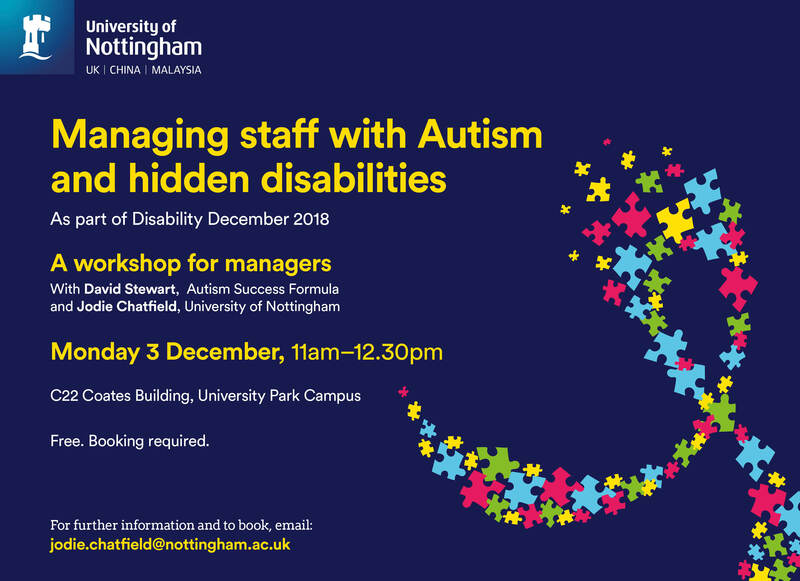 You will have the opportunity to speak with David Stewart from Autism Success Formula, a professional who provides specialist training for Autistic workers and their managers, and hear from Jodie Chatfield, a University of Nottingham manager who will share management insights on supporting staff with Autism. For more information and to book a place please email Jodie Chatfield.